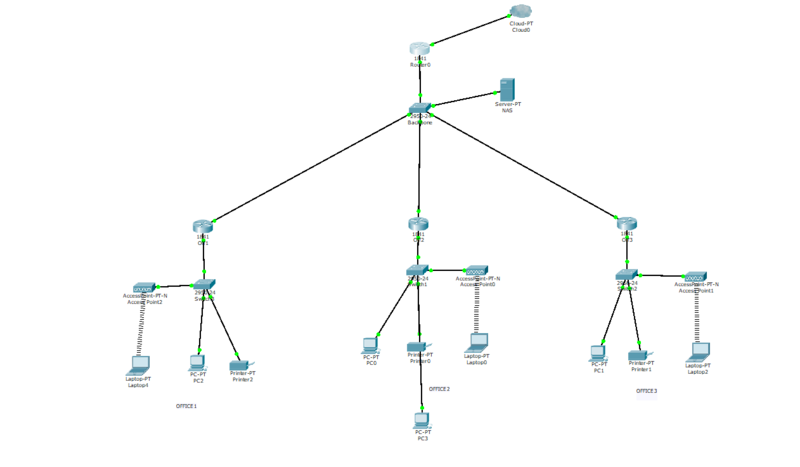 This configuration is visually displayed here: https://imgur.com/a/rPHE92A This network works 100% in Cisco Packet Tracer. We are not able to ping remote hosts from LANs. Eg. : If we are on an Office 1 HOST and want to PING the Office 3 Printer (192.168.3.2), we get a timeout - host unavailable. Browse other questions tagged cisco routing nat switching arp or ask your own question. Successful Auto/Auto PAgP Port Channel?